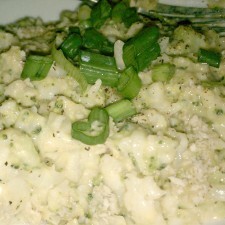 A lighter version of regular mac and cheese, this recipe replaces the macaroni with cauliflower florets. 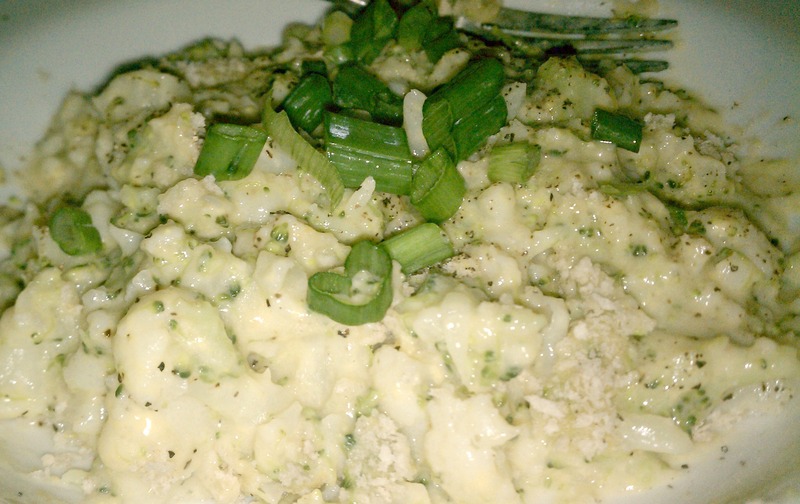 I made this recipe last night and adapted it from a version found in Vegetarian Times magazine. 2. In the same pot used to boil the florets, add coconut oil. (Remember the florets, should be separate at this point.) Cook over medium heat and whisk in milk, garlic, and reserved cup of cooking water, for 7-10 minutes or until sauce is thickened, whisking constantly. Remove from heat, and stir in cheese, nutritional yeast, cayenne pepper, and egg yolks until cheese is melted. 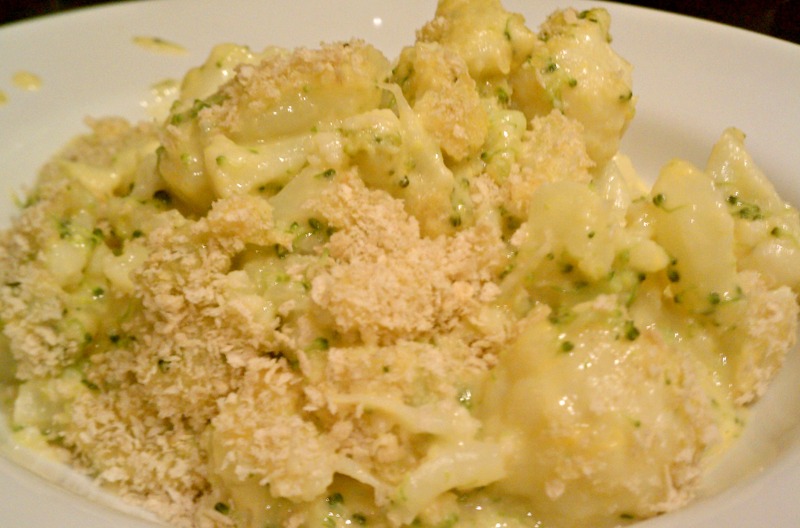 Fold in cauliflower and broccoli florets. 3. Coat 13 x 9-inch baking dish with coconut oil. Spread mixture in baking dish, and sprinkle with breadcrumbs. 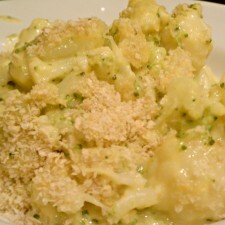 Bake 30 minutes or until casserole is hot and bubbly and breadcrumbs are crisp and brown. Garnish with green onions, salt and pepper to taste.